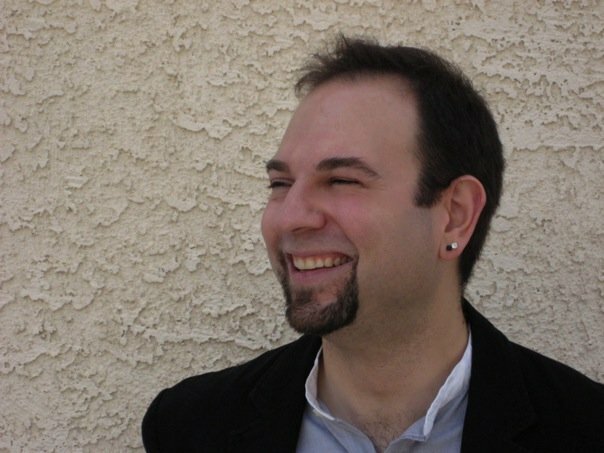 Called a “YA rebel-author” by Kirkus Reviews, Barry Lyga has published nine novels in various genres in his six-year career, including his latest, the I Hunt Killers series. His books have been or are slated to be published in nine different languages in North America, Australia, Europe, and Asia. After graduating from Yale with a degree in English, Lyga worked in the comic book industry before quitting to pursue his lifelong love of writing. In 2006, his first young adult novel, The Astonishing Adventures of Fanboy and Goth Girl, was published to rave reviews, including starred reviews from Booklist andSchool Library Journal. Publisher’s Weekly named Lyga a “Flying Start” in December 2006 on the strength of the debut. Since then, he has also written Goth Girl Rising (the sequel to his first novel), as well as the Archvillain series for middle-grade readers and the graphic novel Mangaman (with art by Colleen Doran). His latest series is I Hunt Killers, called by the LA Times “one of the more daring concepts in recent years by a young-adult author” and an “extreme and utterly alluring narrative about nature versus nurture.” The series has been optioned for television by Warner Bros./Silver Pictures. Lyga lives and writes in New York City. His comic book collection is a lot smaller than it used to be, but is still way too big. I truly don’t know when I decided to be a writer or what prompted it, but it was very early -- I have a clear memory of my grandmother asking me what I wanted to be when I grew up and I responded “A writer!” This would have been around second grade or so. So, I’ve wanted it at least that long, but I don’t know why! Beats the hell out of me! It’s a compulsion of our species and it clearly has an important function in terms of passing down knowledge and illuminating aspects of both the world and the human spirit. But I don’t know why we feel drawn to explaining the world and ourselves through metaphor and layers of symbol and allusion so often. Probably the same reason why we paint in different styles and enjoy different kinds of music. Every writer has a million bad words inside, and until you write those million bad words, no one will care what you have to say. 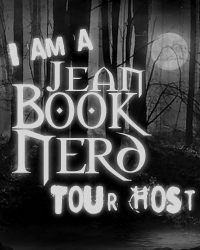 In your new book; I Hunt Killers, can you tell my Book Nerd community a little about it and why they should read your novel? Short and sweet: The son of the world’s most notorious serial killer decides to track down a new serial killer in order to prove to the world -- and to himself -- that he doesn’t have to grow up to be like his dad. It’s got action, mystery, some romance, some humor, and a metric ton of blood and body parts. For those who are unfamiliar with Jazz, how would you introduce him? With a simple question: When you’re cursed by both nature AND nurture, is there any chance you could have a soul? Jazz isn’t sure, but he wants to find out. Same reason I feel the need to tell any story: It’s just a compulsion. You get an idea and you try to shake it off, but at some point it just clicks into place in your head, and you realize that you would cheerfully run over a platoon of nuns and orphans in order to tell this story. That doesn’t happen with every idea. Ideas are cheap. But the ones that won’t leave you alone, those are the ones you have to tell to the world. Wow, it’s weird that you ask this question, since I’ve been working on a blog post about this very topic! I would probably introduce Jazz to Dr. Kennedy from BOY TOY and GOTH GIRL RISING. The big one, of course, is the next book in the I HUNT KILLERS series, which will be out in April 2013. I also have the final book in my middle-grade trilogy -- ARCHVILLAIN: YESTERDAY AGAIN -- coming out in January. And I’m working on an adult novel in my spare time. There’s really no tool to use or trick to perform: It’s just a matter of slogging away at it, each and every day, trying new things, experimenting, failing, trying again. The more you write, the more you begin to slip into a groove that feels right, that feels uniquely yours. Pizza delivery boy! I made a ton of money, but I also nearly totaled my car. Got a little choked up at the series finale of HOUSE. It’s a toss-up between sushi and pad ki mow. Thank you Barry for making this giveaway possible. 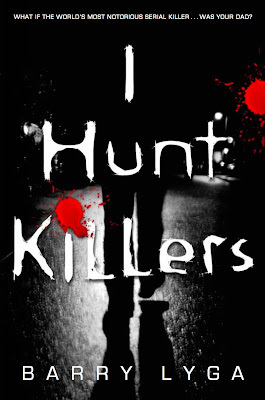 1 Winner will receive a copy of I Hunt Killer by Barry Lyga. Umm... I can't reamember O__o"
The last time someone asked how I was, and I said ok, and I was feeling a little down, but didn't want to talk about it just then. last week when I told someone I was busy so I could stay home a read. 2 nights ago when I told my son to put his tooth under the pillow for the tooth fairy :) Other than that I dont know, I try not to lie. I don't like to lie, but the last time I lied was at work. I work on a switchboard and had to say someone was not at their desk, just because they didn't want to talk to the person on the end of the line. I told a friend I thought the guy she was talking to was good-looking...even though I didn't really think so. :( I didn't want to make her feel bad! I'm not going to be one of those goody-two-shoes people that say they never lie, but I seriously do not remember the last time I lied to someone. Like, today, I told my mom that this dress she was trying on made her look old-lady-ish. I was being completely honest. I could've said "It looks great!" But I didn't. Thanks for the review and giveaway!!! I was out with one of my girl friends about two weeks ago and we met up with a guy she was talking to. He was cute, funny, attractive and a guy I would totally go for. Then he started drinking and became a complete annoyance. I told her he was great because she was so into him. He was great...until he started drinking. HA! Today! When the teacher ask everybody at class if we did homework. We all said we hadn't homework from him. He was a little confused, lol! Last weekend. I told mu hubby I didnt want to go any where. I knew we needed to save money so that is why I lied. Yesterday, to my little cousin. She wanted to go to a amusement park but she had to have a shower first and it was late, so I lied and said it was closed. Two weeks ago. My nephew wanted to go the playroom so I said yes when really, we won't go because he still has school the next day. I can't remember the last time I lied. I dont know, maybe something to my roommate? Oh I don't remember, but I think the last time was like a month ago, when I told a friend her boyfriend was handsome! LOL! Yesterday to my boss, I told I was sick! I would tell you but then I would have to kill this post, lol. I accidentally threw out some food that my mom was saving for later, and I lied and told her that it had spoiled. I told my boss that I had important plans so he wouldn't ask me to work my days off. I lie to my girlfriend so that she would just let me have some quiet for awhile. This week... To a friend of mine.